It is never too late, (or too early), to get your kids helping in the kitchen. 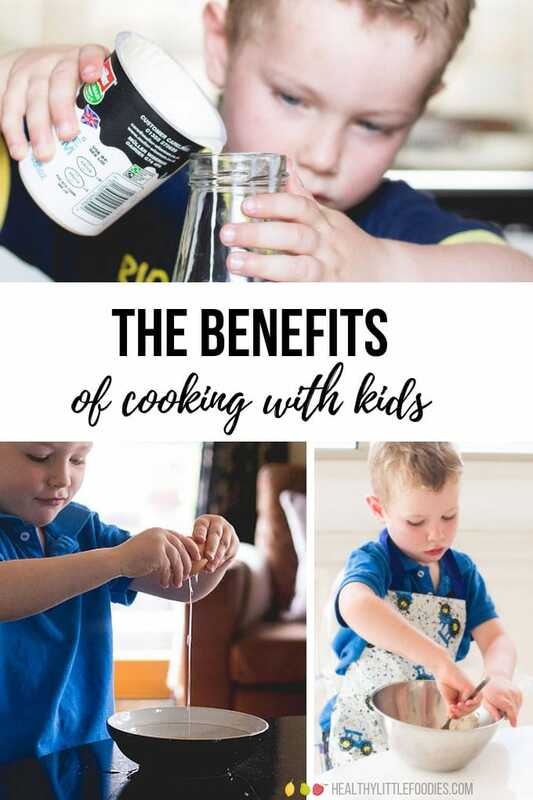 Although it requires time, patience, and some extra clean-up, especially when the children are younger, the benefits of cooking with kids are totally worth it. Both my kids have been in the kitchen with me from infancy, some days they’re more eager to help than others (and to be honest, some days I am more eager for them to help than others!). However, I definitely see how their time spent in the kitchen has benefited them both greatly. Here is a list of some of the many skills that can get passed on when you cook with your kids. Learning the basic skill of cooking, that can be used for the rest of your child’s life, is perhaps the most obvious skill gained. By starting the cooking lessons at a young age, it becomes a skill that they are well adapted to by adulthood. Involving children in the kitchen, from a young age, cultivates a habit that will have lifelong benefits. 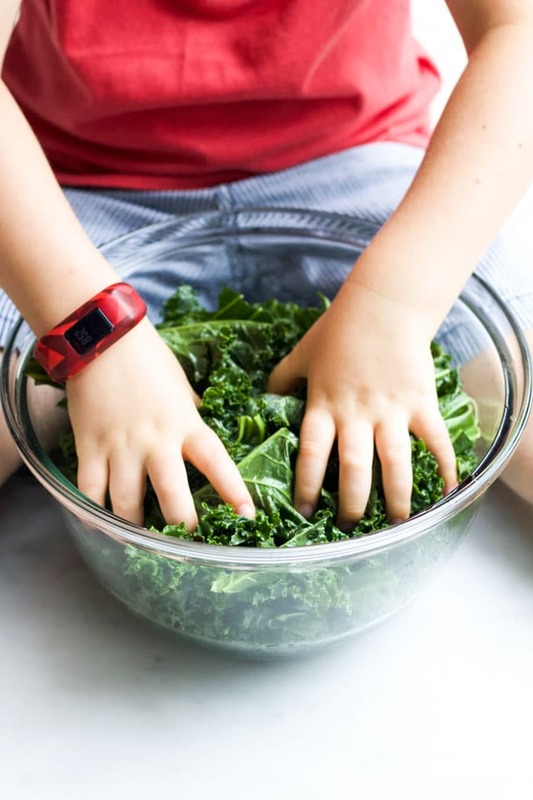 Stirring, measuring, rolling, squeezing and spreading are just a few of the kitchen tasks that allow young children to develop their fine motor and hand-eye coordination skills. Children learn by touching, tasting, feeling, smelling, observing, reading and listening. This is why the kitchen is a perfect environment for learning – it hits a range of senses and a range of learning styles. 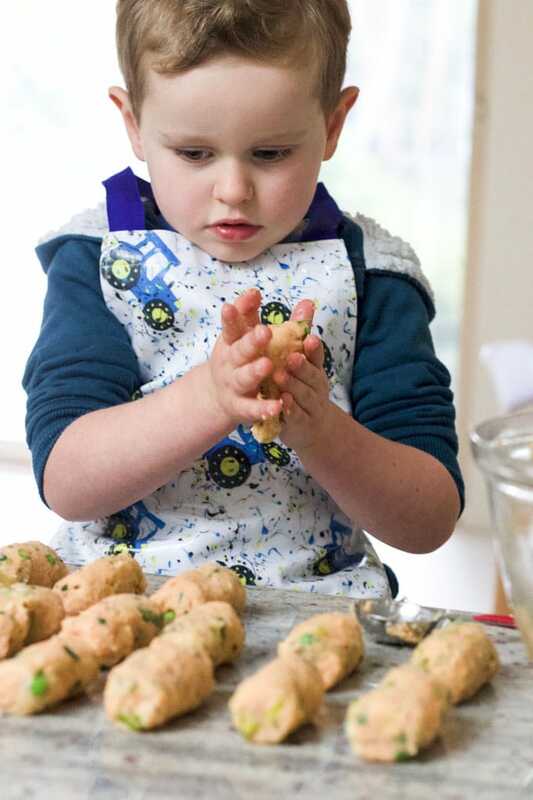 Cooking offers a great opportunity to help with language development. Talking and describing what you are doing can expose young children to new words and terms. As children get older they can describe to you what they are doing, what they see, smell and how things feel etc. Once reading, they can practise the skill by reading recipes. Maybe they can even create their own recipe, helping them understand instructional writing. Counting (three spoons of…), number recognition, (reading numbers on scales), mathematical language (more than, bigger, smaller), multiplication (doubling a recipe) weighing (scales) and fractions (1/4, 1/2 cups) are just a few of the many mathematical skills that can be developed in cooking. The kitchen is like a mini Science Lab. Children can watch materials change colour, texture and form (liquids, solids, gases ) and they can make predictions and observations e.g what happens if you use too much/little baking powder, wrong temperatures etc. Kids can express their creativity through recipe development and food presentation. This could be something as simple as deciding what ingredients to add into a salad, or something more complex, like creating a menu to feed their family. A kitchen is a great place for parents to spend quality time with their children. It can be a place to talk about family traditions, through passed down family recipes, or it can simply be a place just to catch up with day to day life. It is also a great environment for siblings to cooperate and communicate, building stronger relationships. The kitchen can be a place to nurture your child’s self-esteem, confidence and sense of self-worth. Teaching children to cook provides many opportunities to encourage and celebrate their work. Children feel a great sense of pride when they feel they’ve successfully prepared a dish for themselves or their family. Last but by no means least, cooking with kids can be fun and enjoyable for both the children and adults. Your kids will get the joy of creating a dish and eating it, all while you create lasting memories that your children may treasure forever. 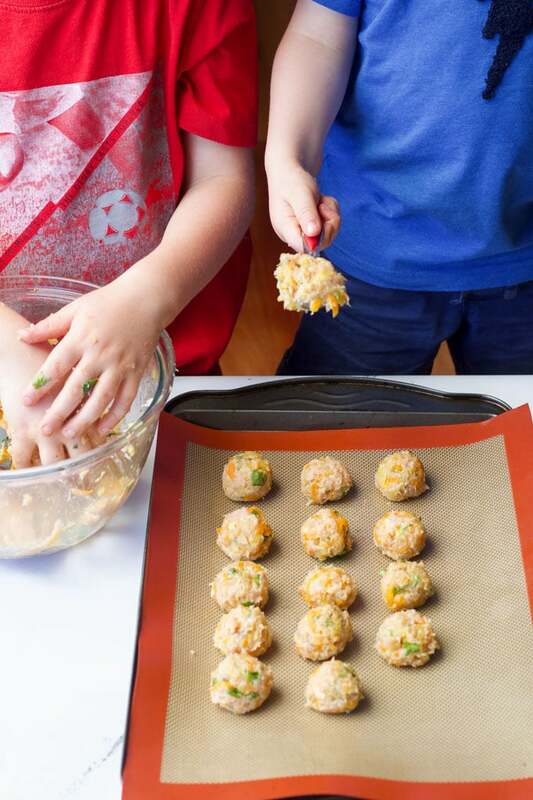 With all the benefits of cooking with kids, why wait to get started? Bring the kids into the kitchen! Do you love to cook with your kids? Or has this post inspired you to cook more with your children? I’d love to see your photos so please share them with me on Instagram @healthylittlefoodies.